German sportscar maker Porsche has introduced the new 718 range in India with two door Boxster and Cayman launched at Rs. 85.53 lakh and Rs. 81.63 lakh respectively (ex-showroom, New Delhi). The international market gets a six-speed manual gearbox for both the 718 Boxster and Cayman. But for India, there will only be a seven-speed dual-clutch PDK automatic though which is quite a shame considering the engaging driving aptitude Porsche is renowned for. The 2016 Geneva Motor Show saw Porsche reviving one of the iconic nameplates. The 718 badged Spyder in the ‘50s and early ‘60s are still conceived as one of the best sportscars ever to come out of the German marque. 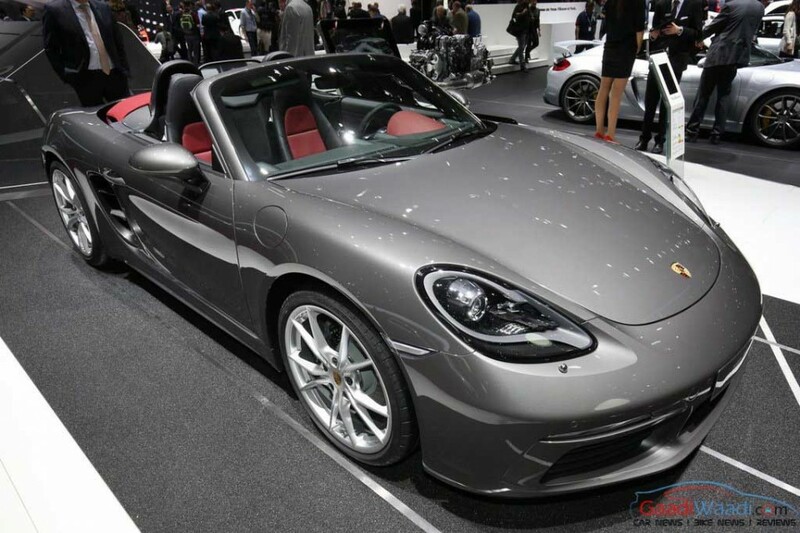 The all-new 718 Boxster goes by recent trend in tubrocharging technology and downsizing in engine as the company has used to in recent past without compromising on performance levels. The new Porsches get new engines and produce more power and they are known as the most driver centric models from the brand. Receiving facelifts earlier last year, they come with LED headlamps and LED taillights. The chassis has been revamped as well for bettering cornering and driving dynamics. Also both the front and rear vents come sporting larger air vents increasing their aggressive appeal. 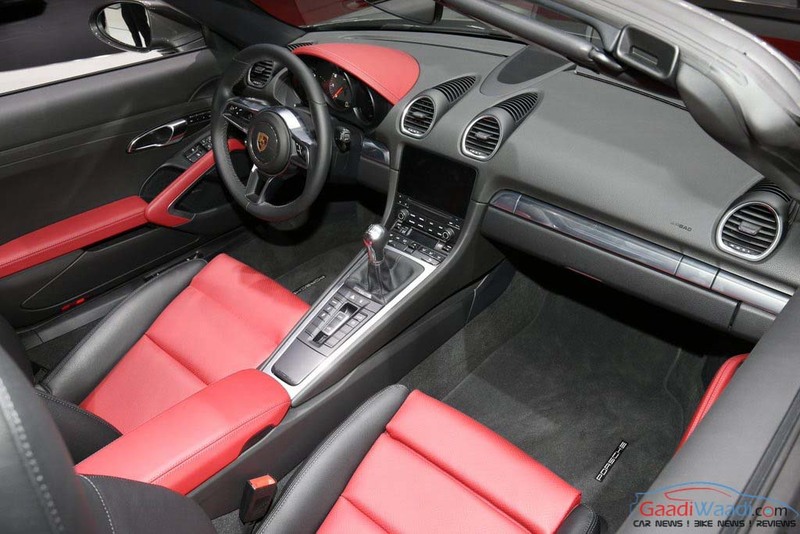 The interior has also been updated sporting a performance oriented sporty steering wheel and some new design elements. 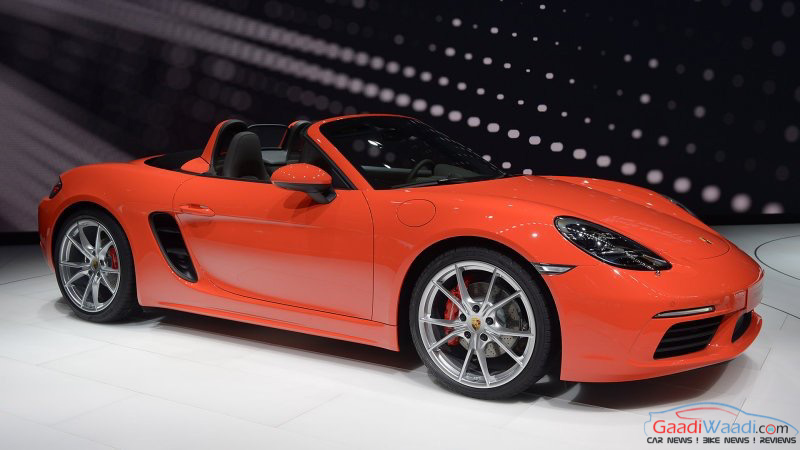 Besides, a whole new Porsche Communication Management (PCM) system has made its way into the new models with an eight-inch touchscreen, an eight-speaker sound system (six-speaker in the 718 Boxster) and sports seats. Despite being differently designed according to the hood options, they get power from a turbocharged 2.0-litre engine developing 300 hp and 380 Nm of torque. The Sport Chrono Package allows a sprint from 0-100 kmph in just 4.7 seconds and a top speed of 275 kmph.